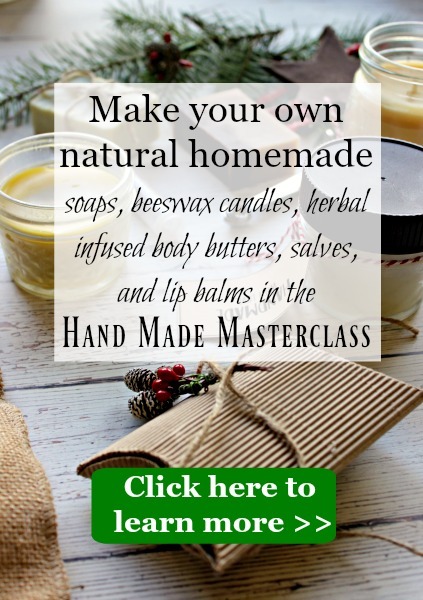 Learning how to make dandelion salve is one of the best ways to create a healing salve from one of nature’s most prolific plants. Dandelions are often the first weed of spring to pop up all over lawns across America. To those who strive for golf green-like grass, dandelions are a nuisance, and people often use all sorts of nasty chemical herbicides to get rid of them. But not only are dandelions actually quite a beautiful flower (personally I love the way they look in in our yard for a few weeks a year), but they are also super beneficial in so many ways. First of all, dandelions aren’t native to North America. 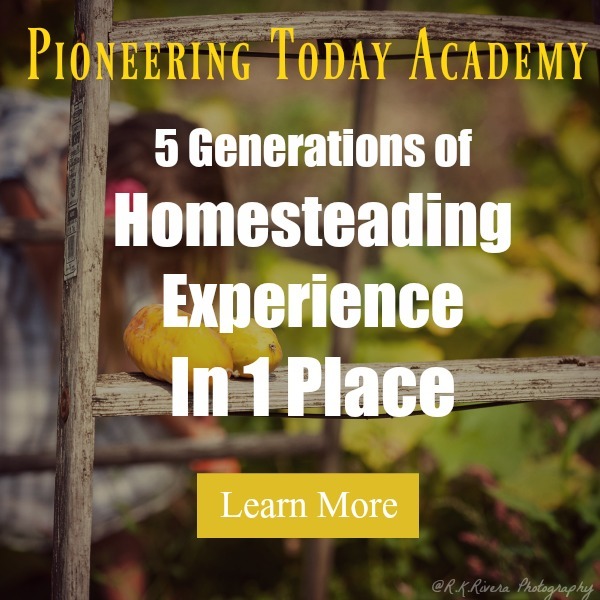 They were brought here by European immigrants a few hundred years ago because these newcomers knew the true value of these “weeds” and used them to help their gardens, to use as medicine and even to make wine out of. For one, dandelions have tap roots that aerate the soil where they grow. They are also one of the first flowers to pop up in abundance in springtime and provide a food source for bees and other pollinators. But aside from the garden, dandelions are useful both as food and as medicine. The entire dandelion plant, from root to flower, is edible or consumable in some way. (Just make sure they haven’t been sprayed and steer clear of dandelions near busy roadways). The roots are typically steeped as tea, the young leaves tossed in salads or sautéed, and the flowers can even be cooked up, fried, turned into wine or jelly or added to all sorts of other dishes. Disclaimer: This is for informational purposes only and should not be taken as diagnosis or medical advice. We are not medical professionals and you should always check with your medical provider before using anything medicinally. Just a quick Google search reveals at least a dozen health benefits of dandelions, from strengthening bones and fighting diabetes to detoxifying your liver and nourishing your skin in all sorts of ways. While most often consumed, Dandelions can also be turned into topical, medicinal balms, creams, oils, lotions and astringents. Dandelions are anti-inflammatory as well as high in antioxidants, and when applied topically they can help nourish and clear skin as well as aid in the fight of skin infections while also helping to aid the relief of muscle and joint pain, including pain caused by arthritis. My favourite way to use dandelions is by making an infused oil and then turning that oil into a healing salve. 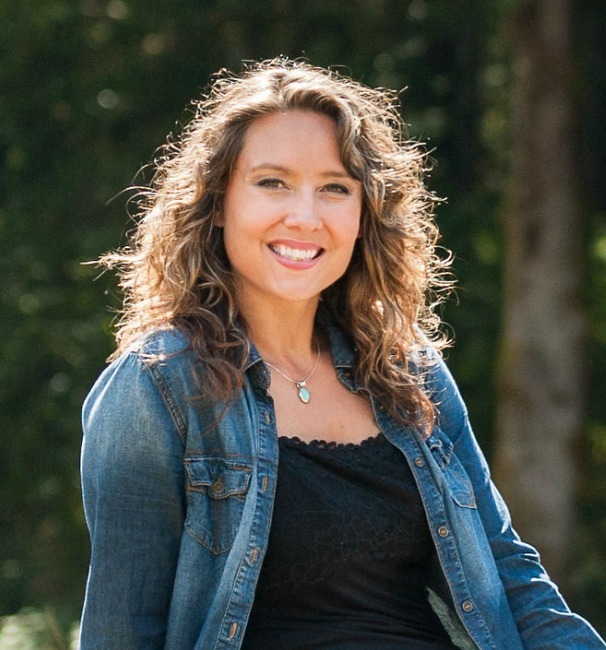 I use only 3 ingredients: Dandelion-infused oil, coconut oil and beeswax, plus some essential oils if I feel like it. 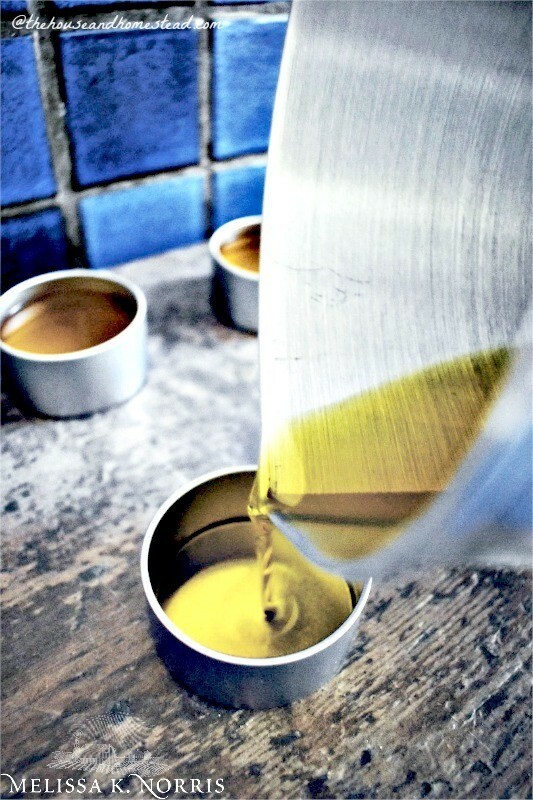 Not to mention making the salve itself once you’ve infused the oil takes under 20 minutes from start to finish. It’s an all-natural, super frugal, incredibly beneficial and ridiculously easy way to put dandelions to good use, not to mention these salves make great gifts and stocking stuffers at Christmas. Start by picking dandelions when they’re fresh and in season. 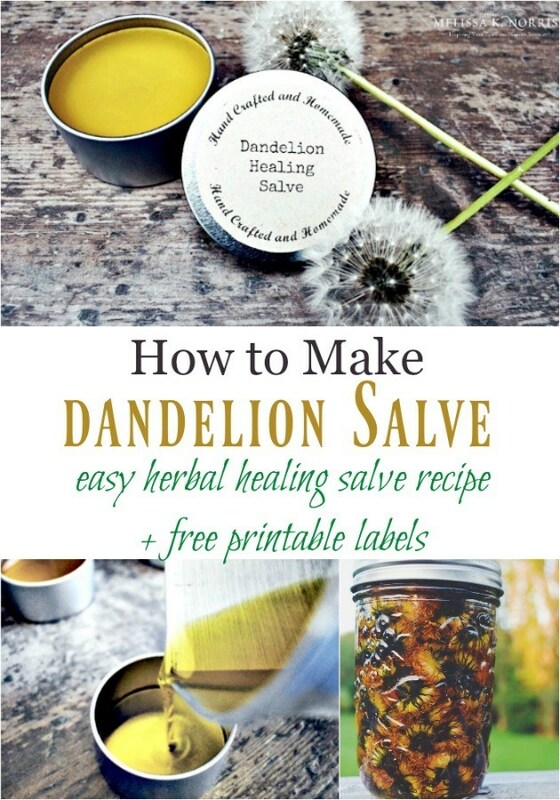 For this salve you’re only going to use the dandelion flower. Pop the flowers off the stems. I use my thumb and spread them out over my counter. Let them dry. I let them dry out for a day or two simply because I find infused oils start to grow mold if you use fresh flowers with moisture in them. But at the same time, dandelions easily go to seed if left to dry out for too long. I haven’t had a problem with any of my oil going moldy when I just leave them to dry for a day or so. 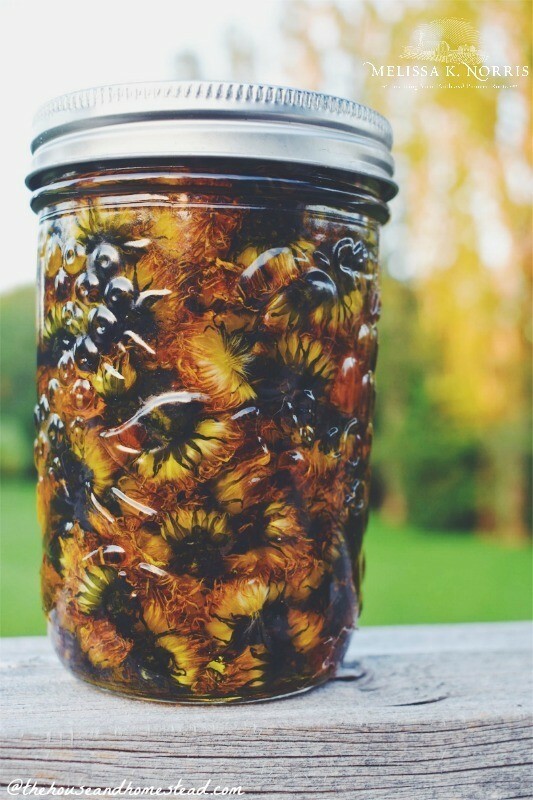 After you’ve dried them out just enough, pack them into a jar (a Mason jar works perfectly for this) and once you’ve packed as many of them as you can in there, top with a liquid oil of some sort.. I just use olive oil, which is also incredibly moisturizing for your skin and which most of us have sitting in our pantries already. But you could also use jojoba oil, sweet almond oil or any other liquid oil you choose really. Let them sit for 2 to 6 weeks and allow the oil time to infuse. Personally, I like to actually allow mine to infuse for a few months, and you can really leave them as long as you like, but a few weeks is sufficient to extract much of the medicinal properties out of dandelions for your dandelion infusion. Once you’ve sufficiently infused your oil, pour it through a sieve and use a pestle or the back of a wooden spoon to press on the flowers and squeeze out as much oil as possible while separating the flowers from the oil. Reserve the oil and compost the dandelion flowers. 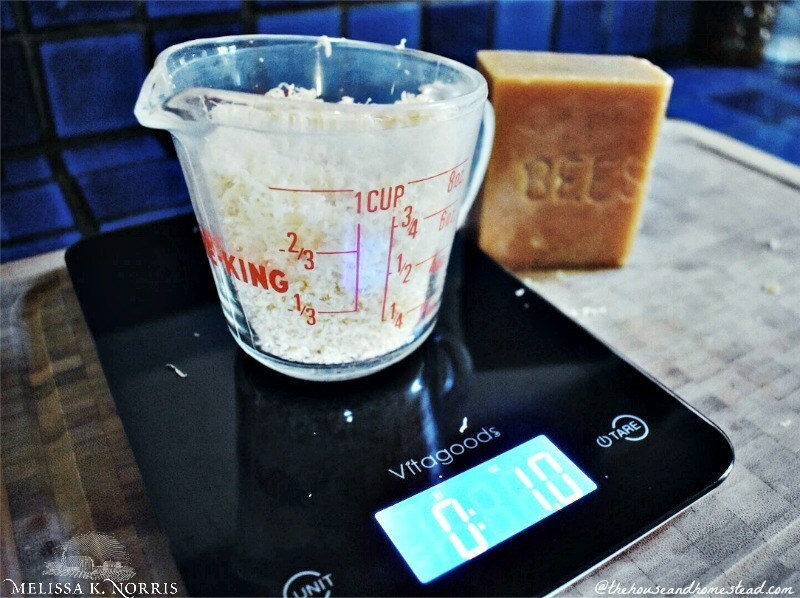 Food scale– any time you’re making homemade salves, balms, ointments, or soap, a food scale is a must. I’ve had this one for over 4 years and it’s an inexpensive but important item to have in your homemade medicine cabinet. Make sure it will allow you to measure in grams, ounces, and small increments. Beeswax- I get mine in big blocks from our local beekeeper, but it is much faster to use pellets. If you don’t have a local source I recommend pellets for quick measuring. Create a natural medicine cabinet with the herbal charts and recipes found in Hand Made from all-purpose healing salve, infused oils, teas, ointments, soaps, and more using natural ingredients, including the extensive chart of herbs and spices with their medicinal properties + bonus labels that show the herb name and its medicinal uses for your herbal containers. 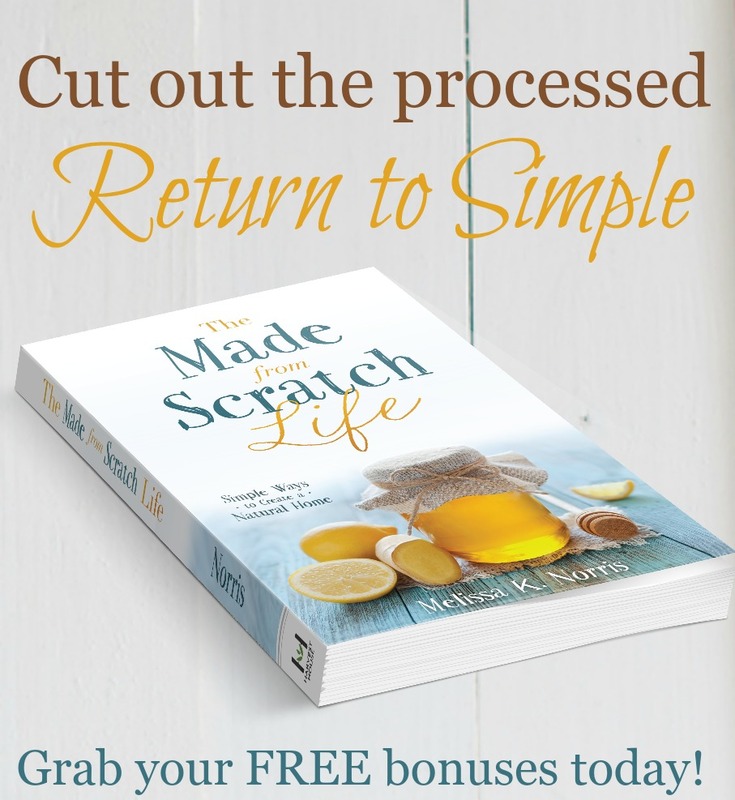 Get over $53 in FREE bonuses here with your purchase of Hand Made. Measure out your dandelion oil, beeswax and coconut oil in a heat proof melting container using a food scale. Add to a double burner and heat on medium until it all melts together and stir to mix well. Let it cool in the pot for about 5 minutes and then add some essential oils if you like. About 20-30 drops will do. I like to use lavender, tea tree or frankincense in mine (either on their own or altogether) as they are all good for the skin. Carefully pour into pots or jars and let cool for a few hours until they are completely solid. Throw a lid on ‘em and they’re ready to go! And since these make such a great little gift, don’t forget to stick a cute label on each jar. You can make your own or download the ones I’ve designed that I use on my own salves. 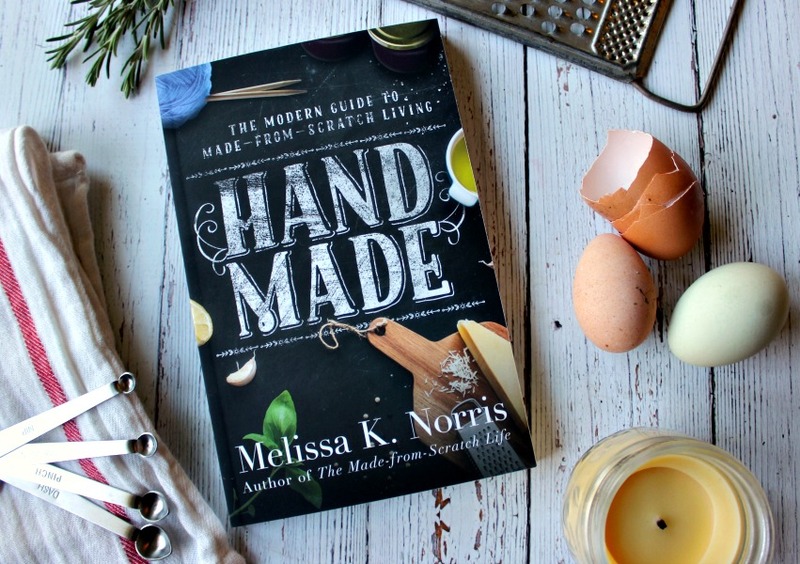 They’re always a hit at the holidays, and making them now and putting them away means I have presents ready to go way in advance, which I’m always thankful for at one of the busiest times of the year! But do make sure to make some for yourself as well. And stick a pretty label on that one too, because you worked hard making this healing balm recipe and you definitely deserve it! 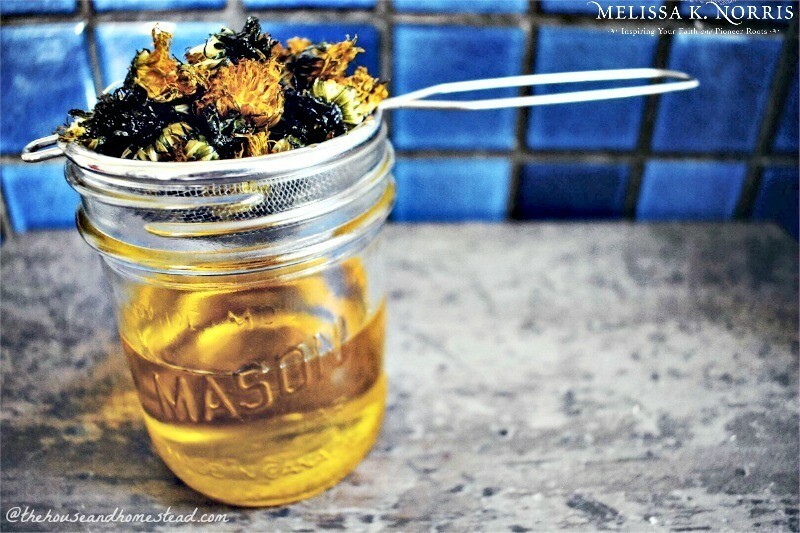 To make the infused oil, start by packing a pint-sized Mason jar (or equivalent) with dandelions (use fresh or dry for about a day or two first to avoid molding). Then pour a liquid oil of your choice overtop and fill the jar to the top. Good choices for oil include olive oil, avocado oil, jojoba oil or sweet almond oil. Allow infusion to sit for 2 to 6 weeks. Measure out your ingredients using a measuring cup and kitchen scale for accuracy. * If you don’t have a kitchen scale, melt 1 cup of coconut oil and fill approximately 1/2 cup of beeswax pellets or 1 cup of grated beeswax. Add all ingredients to a double boiler and heat on medium until all ingredients are melted and combined. Then let cool for about 5 minutes. Add about 20-30 drops of essential oil of your choice (if using). Then pour into small tins, pots or jars and let cool for a few hours, until completely solid. Pop the lid on, add a pretty label, gift, use and enjoy! 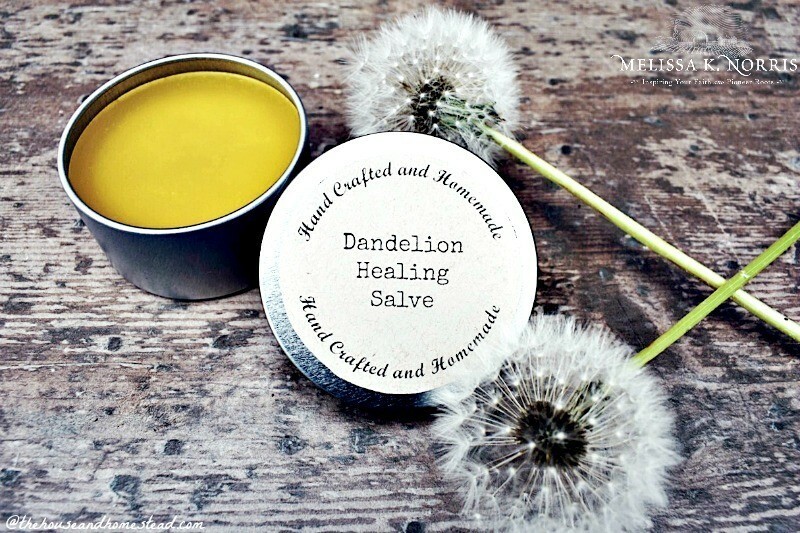 Now you know how to make dandelion salve , what will you be using your’s for?